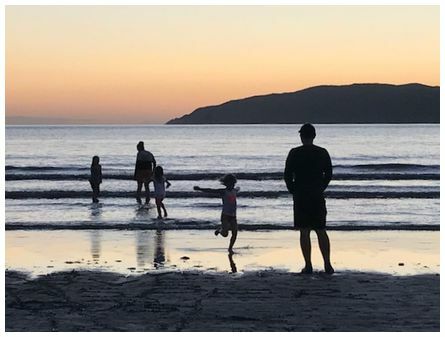 'Paddling in the cool waters at Paraparaumu Beach on a beautifully clear evening - Kapiti Island in the background - taken on an iPhone 7 at 17:50 on 22 April 2017' wrote June. 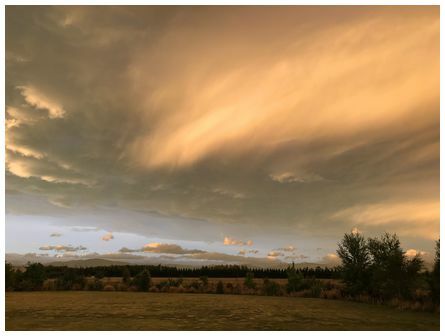 Another photograph of stormy North Canterbury skies taken by Alison on 14 January 2017 taken on an iPhone 7. 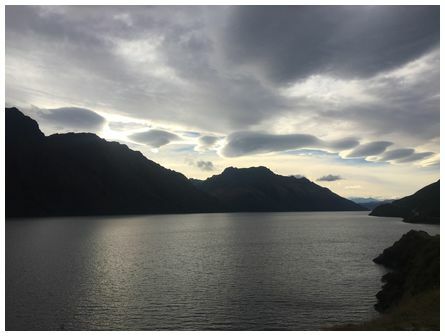 'Clouds over Lake Wakatipu, Otago. 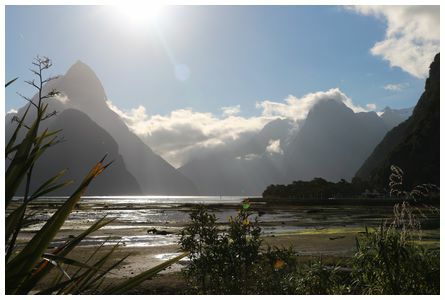 Taken on an iPhone 6 at 15:49 on 27 April 2017' wrote Todd. 'Beautiful sunset that faded into an intense red band, taken 18:05 on 19 April 2017. The intense red faded slowly, there was a glow above the hills for 15-20 minutes afterwards. 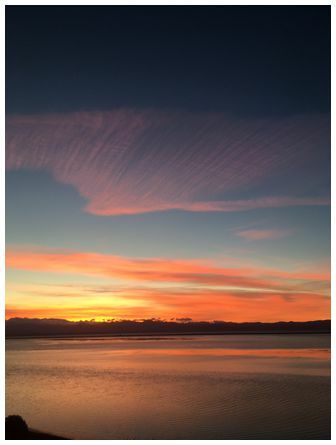 Photo taken in Nelson, looking across Tasman Bay to the Western Ranges. 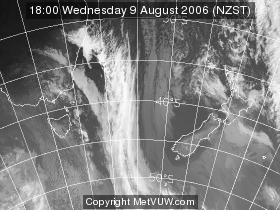 Weather fine and calm' wrote Marilyn. 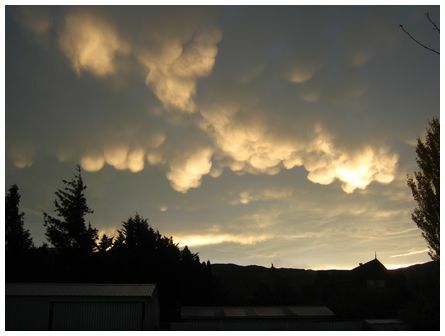 'Mammatus over Mount Difficulty, Bannockburn, Central Otago catching evening sunlight from a northwest arch to the west. Taken at 17:40 on 26 April 2017 wrote Euan. 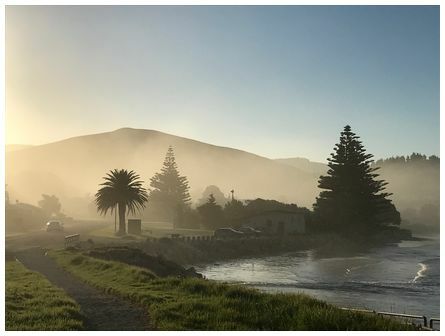 'Evening light as mist drifts in from the sea at Castlepoint on Anzac Day. There were lots of visitors at Castlepoint on Anzac Day, 25 April 2017 many having attended the Anzac commemorations at nearby Tinui. Photo taken on an iPhone 7 looking north at 16:38' wrote June.